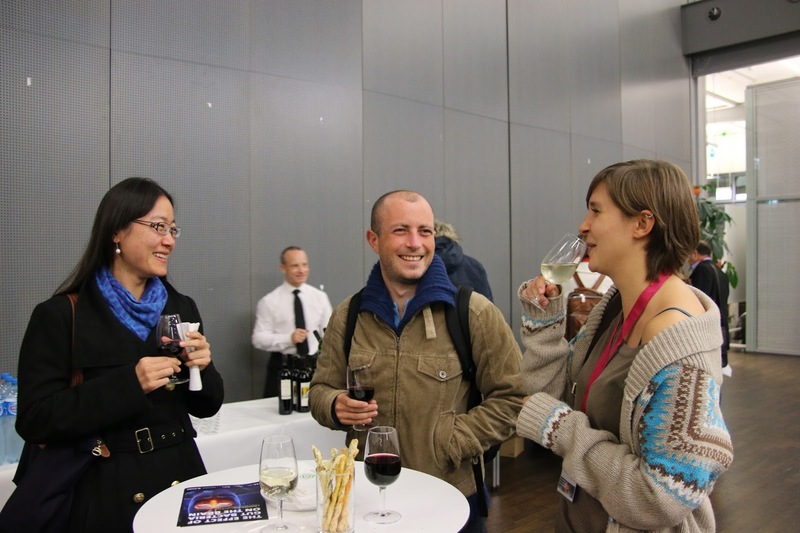 Career Blog for transitioning academics: Let's talk about Networking. Part 1. Let's talk about Networking. Part 1. This post is inspired by the talk I have given at the University of Geneva. When I was asked to deliver a talk on Networking as a career tool, I had to do a fair amount of research. I have further decided to publish the key take away messages here. I hope it will be useful for some of you. First of all, why out of all people did the representatives of Geneva University ask me to deliver a talk on such subject? Well it was probably because I have started my non-academic job straight after my PhD defence and I got my job through networking. So what is networking? According to the Business Dictionary definition, networking is "creating a group of acquaintances and associates and keeping it active through regular communication for mutual benefit". But to put it simply, networking is getting to know people. And why should anyone network? It does not really matter if you are pursuing an academic or a non-academic career, networking is very important. For instance, if you are planning to stay in academia, being bright and hardworking and publishing good is of course very important, but that alone will not be enough to climb the career ladder. It is important to be connected in order to get promoted, because people prefer to do business with someone they know not only by their publications, but also in person. Another reason for networking is the fact that there is a whole hidden job market. These jobs do not get advertised, because quite often instead of interviewing endless candidates people just prefer to hire someone from their network. Latest data suggests that at least 60% of jobs are found through networking. And in a recent article by the Guardian it was stated that Google hires less than 1% of its online applicants. Do not forget that job listings tend to attract thousands of applicants. HR department of such companies as Nestle receives thousands applications daily. Your chances of getting your CV spotted are quite scarce unless someone in the company recommends you directly. But apart from networking in order to get a job, you should also remember that networking is a very important tool of knowledge and ideas exchange. So where can you start meeting useful people? It is first of all career fairs commonly organised at University Campuse. It is also different social events for local people and expats. I strongly suggest to accept all the invitations you receive. You never know who you can meet. I remember nailing a freelance consulting job by talking to a guy who wanted to launch a start-up in diabetes diagnostics. One of my friends and a CEO of a very successful company loves to tell a story about that one time his company was facing bankruptcy and he went out to one local event, where he ended up sharing a table with an old gentleman, who turned out to be an investor. This investor ended up saving my friend's company and giving it enough money to survive the crisis. As I say, take all the invitations you receive, you never know what can happen. In Switzerland there are a lot of events organised all the time in particular for Life Science community: Debiopharm academy, Healthcare businesswoman association's events, BioAlps initiatives, CEO start-up day in Bern, events organised by Innovation Forum Lausanne, Forum EPFL, Inartis, WomenWay, Startup Grind and many more. I will be publishing specific posts in this blog labeled "events" that summarise most interesting ones happening in the area. Do not miss the alumni events, it is a great way to meet new people, grow your network and get some career advice. I always suggest to PhD students to go to events outside their discipline such it entrepreneurship week at Art School or at a Business School. Why? Because you will meet new people who will be impressed by your skills, you will participate in knowledge exchange and might even nail an interdisciplinary collaboration! And of course, there are different workshops and seminars like Novartis BioCamp, McKinsey Dive, Roche Continents and many more, also a great way to meet new people and learn new stuff! Another great way of getting involved is becoming a member of a non-for profit association or consulting society on campus. There are many existing already e.g. Innovation Forum Lausanne, LWin, Forum EPFL, different post-doc associations and many others! Try to get involved in a professional association or an association representing your future career goal. And why not to create one yourself? A great way to learn a lot of new skills and meet a lot of new interesting people! So, let's talk about Networking Best Practices a little bit. Number one is of course business cards. Always ask for business cards and take notes on them. Always have your own business cards with you! And I do not want to see "student" on them. Put PhD candidate if you wish, but never "a student". It is appropriate to put last degree accomplished (Bachelor, Masters, PhD). If you do not have a PhD, it is appropriate just to put just your field of expertise such as "James Smith, Immunologist". Your business card should contain your name and occupation, your work address, professional e-mail (it can be @gmail.com, just don't make it cutebunny87@yahoo.com) and your phone number. The main question that you should ask yourself while approaching someone at a networking event is "what can I offer", not "how can I benefit from this person". You should be aware of your competencies and skills that you can offer to your potential employer. Most people find it challenging to initiate a discussion, but it is quite simple. Ask the speaker a question or initiate conversation during the networking cocktail. Be authentic, approachable, open-minded and eager to exchange information. Do not be scared to approach people and just talk! This is what networking events are for! Be focused on communicating with the person, not with the title. It might be challenging to speak freely when you are discussing with an executive from a huge Pharma, but you must see through the title. Try to understand what kind of person is in front of you, what are his/hers interests and passions, and do not be afraid to express your point of view. However, do not get in the middle of somebody's conversation, do not interrupt and do not stay nodding the whole discussion and saying "Yes, yes! You are absolutely right". That is annoying. There are two main types of networking strategies during events: quantitive and qualitative. Quantitive is oriented to meeting and exchanging info with as many people as you can, whereas qualitative (works well when you have a list of event's participants in advance) is oriented to targeting a few people and getting to discuss with them during the event. It is important to set goals when networking. If you see that discussion is taking quite some time, you are both carried away and would like to continue this conversation, it is appropriate to set up a follow-up e-mail, call or even lunch. And last, but not least... Send thank you letters. To colleagues, to your connections (thanking for information exchange or advice), to your family (it is also a part of your network). I can bet that every one of you has one family member that is the biggest fan of yours. So go home and send a postcard to this person. Just to thank him/her for all the support and faith in you. Maybe your aunt/godmother/cousin is having a coffee with Elon Musk right now and he is opening a Life Science department at Tesla Motors looking for an innovative lab manager... Sometimes this is all it takes! Next time we will speak about building and maintaining your network, presenting yourself and creating a professional online profile.